Prof Belgacom Haba is one of the most successful Algerian researchers in field of electronics around the globe. 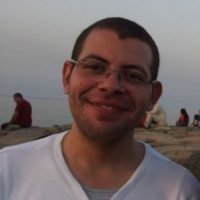 He is a graduate of the University of Science and Technology Houari Boumediene (USTHB) in Algiers and obtained his PhD from the University of Stanford. He holds more than 1100 patents and he is classified as one of the top 100 researchers in terms of the number of patents. He was also selected as the Algerian Scholar of the Year 2015. Dr Riyadh Baghdadi met with Prof Belgacem Haba at Stanford University for a discussion about his professional journey, the Algerian Inventors Repository project, and general advise for students and young researchers. Riyadh Baghdadi: Welcome Prof Haba. Can you give us an overview of your journey starting from Algeria to where you are now, what are the significant highlights in your career? Belgacom Haba: Let’s start from the very beginning. I was born in EL-M’ghayer in El-Oued. Back then we only had one middle school, so I went to Amir Abdelkader High School in Toughourt before joining USTHB where I completed a DES (Diploma of Higher Education) in Physics. Then I got scholarship from the Algerian state to come to the US. By the way, back then I had never heard of Stanford University having come straight from the desert! I did a masters degree in applied physics and then I wanted to get into solar power so I did another masters degree and a PhD in this field. After graduating from Stanford I joined IBM’s research labs in New York working on the application of lasers to microelectronics. BH: That’s right. After working there for two years I decided to go back to Algeria for two reasons. First, for the national military service, and second because of a sense of duty towards Algeria, especially that my studies were sponsored by the government. When I got there I found out I was actually exempted from the national service, so I started to look for work, and that took a while, about nine months. Most universities did not accept my application, until eventually I found a position at the University of Biskra. Unfortunately, I only stayed there for three months for two reasons; first, I wanted to do something in my life and unfortunately, back then there wasn’t much going on in Biskra, no research labs for example, and I realised that if I was to stay there I would essentially stagnate. The second reason was the deterioration of the security situation in Algeria in that period; I had a 125km commute to work back and forth from El-Mghayer to Biskra everyday and that journey wasn’t very safe. BH: Yes, so I decided to leave, and at that time I was contacted by Nippon Electronic Corporation, who I knew from before, and they asked me to join them to do work similar to what I did at IBM. While in IBM, I did some work that become a little bit famous and they basically wanted this to be replicated in there company. So I went to Japan and stayed there for 6 years. I started off working in the application of laser technology to microelectronics, then moved on to other things, such as miniaturisation. BH: Yes, after six years I decided to go back to the US for family reasons. At that time, I decided to turn the page; move away for big companies – I was in one company which had 300.000 employees and another which I had 250.000, so there was a tendency to feel like a small fish in a big pond and it’s hard to get the big picture in those kind of situations. So, I decided to move on to small start-up companies, so I joined Tessera, which was a small company back then. I wasn’t a founding member I was but one of the first ones to join the company. BH: In the nineties. By 1998 we started to see results and the technology that we produced started to get used from that point to this day, all DRMs are using that technology. RB: So Tessera functions by bringing in people with expertise and researchers to invent new technology, patent their inventions then sell these to other companies for a profit? BH: We don’t sell them, we license them. If you sell you get a one off payment, with a license there is usually a continuous payment for up to a twenty years period. Tessera has now around 4000 patents, and going back to what you mentioned in the beginning of the interview about me having 1100 patents; to be clear, these include inventions which have already been patented an others which are applications in progress and also others which I’m still writing up. So not everything is published. So, going back to the point, the technology produced by this company, up to this point, there is about 300 billion chips sold worldwide, which is equivalent to 20 to 30 chip per person. BH: And we also did other things in addition to mobile phone chips, we worked on the miniaturisation of cameras, etc. about 30% of current telecommunication companies are using our technology at the moment; for example, things like face detection and red-eye removal effect all of that were techniques developed at Tesera. Tessera itself is not very well known because we deal with companies not with the ultimate users of the technology. RB: With companies, not with consumers. BH: And here I must highlight a misconception that people may have about research lab, they may think of a research lab as this huge thing. Our company’s profit is around 200 to 300 million dollars per year just from inventions. The inventors in a lab are no more than four to five people, the rest are engineers who work on the ideas. So it’s not true that you need thousands of inventors in a centre, five or six inventors are capable of creating dynamics. I then decided to move on to another company, so I created another start-up called SiliconPipe focusing on high speed connections, and then we sold it to Samsung. Then moved on to a company called Rambus, which specialises in memory chips, and in fact ended up using the technology that we developed at Tessera, and used that memory technology in developing Playstation Two and Three, so I had the opportunity to be involved in the design of the memory part of those game consoles. Google then contacted me and recruited me to their data centre, but then I decided to go back to the initial research centre where I started off, which is where I am now as a Senior Technical Fellow. This is equivalent to a professor in academia in the sense that my role is mainly focused on doing research and inventions without having to be concerned with management duties, so I come up with ideas and other staff realise them in practice. RB: I read that you had a side project which is a website where you gathered information about Algerian inventors around the world, can you tell us a little bit about this project? BH: This was a while ago. I was always into inventions and try to keep up with who is invention what and so on, so every time I came across an Algerian inventor I used to write their name down. Then the number of Algerian inventors that I noted down started to grown and I noticed that Algerian inventors are widely dispersed around the globe. There is around 23 country that has Algerian inventors according to my list. And this is of course not an exhaustive list, mainly those ones that I managed to come across. And this is public information by the way, anyone can look this information up. So, I decide to put the whole lot into a website. Back then my vision was that this would be a way for those inventors to get in touch with each other, know about each other, and also for anyone who was interested or needed expertise in a particular domain or an invention of some kind, they could look up the right people to get in touch with and who could help them or collaborate with them, because I also included the list of inventions that goes with each inventor. I launched this website in 2007. Right now I have more than 500 inventor and some 3000 invention from about 23 country. RB: I think most students watching this would like to get any advise you may give them, what advise would you give to students in generals? Both in terms of their studies but also advise for post-studies. BH: With regards to studies, when I got here to the US, back home as a students I was OK, I used to get good grades and so on, but when as I left Algeria I knew that I had some shortcomings. Nobody knows you better than yourself. BH: So the first thing one must do is to fill in the gap of your points of weakness. That’s very important. Secondly, when you are about to do some work, work on something you are able to accomplish. When I launched my start-up company, even though I launched it, I did not appoint myself as its CEO, I could have done that, but I didn’t because I know I don’t have the time and the vision of a CEO. I knew I was good with technology, so I worked as Vice President of Engineering and appointed someone else as CEO. So one has to put themselves in the right place, that you have the ability to fulfil, don’t transgress to something you don’t know, because you will lose out and your company will loose out. For students, and everyone else really, for me, the way I run my life is, I always have a goal – I don’t tell people about it – but I always have a ten-years plan on how to achieve it, so I know where I am going to be in ten years, and I know what I need to do to get there year by year. BH: Yes, how do I get there, it doesn’t that I must get there, that’s not important. The important part is that you lay down the points and your going through them, and that you are thinking about how you are doing along the way, each week I am thinking; am I going in the right direction? Am I getting where I want to be? And there is no need to blame yourself, whether you got there or not. You try as hard as you can given the means that you have available to you, and when you have an opportunity, jump on it. Don’t let opportunities slip you by. I come from the desert, from a village where growing up we did not have electricity. An opportunity presented itself to me, and I took it. So don’t let opportunities slip by you, and when one comes along your way what you can according to your ability at that particular moment. And you have your plan, when a year comes to an end, evaluate yourself; what did I do this year, did I work well, what were the shortcomings, etc. and adapt your plan accordingly. I pity people who don’t have a plan, who don’t have a vision of where they are going in life. That’s one thing. The second thing is, if you have an idea you want to realise, don’t give it up. BH: An idea came to your mind that you wish to implement. Look, this life is full of problems, and God knows I have had my share, health problems, problems from here and there, ups and downs, you name it. But you have to have a clear goal, when a problem comes along, your goal may be delayed a little bit, but you are not supposed to give it up. BH: So for example, someone is passionate about teaching, but it doesn’t pay very well, so he decides to go and do business, sell some stuff instead. That’s a mistake, one should be driven by what they are passionate about not by material gains. Money will come later. You have to be driven by your goals, and use the opportunities that present themselves to you. Also, find people who can help you. Many of us want to do everything by themselves, you can’t clap with one hand. BH: Right, talk to everyone around you and get them involved – to a feasible, legal extent of course – if you wish to do something and you come across someone who can help you, don’t be afraid of approaching them. As for students, there is something I regret not having done. We were educated, but we were never taught how to do public speaking. If I could do things over, I would like to learn how to talk to people. Our society is such that – even within the small family – a small kid is always told to be quite, the teacher tells you to be quite, everybody tells you to be quite. So, we learnt that, and when we are in front of people, we don’t know how to speak. BH: Yes, giving a talk or a presentation, that is very important, to be able to communicate your ideas. RB: A lot of people say that intelligence is key to success, for example to succeed in scientific research you have to be intelligent. Do you think that intelligence is the key to success? What about those who work hard and persevere? What would lead to more success in your opinion, intelligence or perseverance? BH: In my experience I’ve come across both types of people. The majority of those who managed to succeed in my experience are those who persevered. They succeed more. RH: In other words, intelligence is not a prerequisite for success. BH: Exactly, but it helps. Intelligence by itself is not enough. Especially if one starts to think of themselves as being intelligent and get arrogant about it. It’s downhill from there. It’s important to have intelligence, but it’s also important to have what we call social intelligence, how once you have an idea you can bring people together in the right way to realise it. For example, you have an idea for a start-up, that idea will do nothing so long as it stays in your head, you can develop it as much as you want, what you need is someone who will secure the funding, and another for marketing, and another for implementing the idea, so you have to work within society. Those who preserve can succeed even if they are not particularly intelligent, if you don’t have intelligent ideas, you can get the right people around you who do to compensate for what you lack. And that is what intelligent is, an intelligent person is someone who knows their shortcomings and knows how to fill them up and make up for them. RH: Thank you very much Prof Haba for speaking with us and for all the advice. BH: I hope it’s going to be beneficial. Dr. Riyadh Baghdadi is a postdoctoral researcher in the Computer Science and Artificial Intelligence Laboratory at MIT (Massachusetts Institute of Technology). He works on automatic code optimization and code generation for high performance architectures (intersection of compilers, HPC and AI). He obtained his PhD from INRIA/Paris 6 university and got his engineering degree from Ecole Nationale Superieure d'Informatique in Algiers. Je suis à la recherche d’un stage en spécialité microelectronique. Je prépare un diplôme d’ingénieur en microéléctronique à Paris. pouvez vous répondre à mon message SVP.